Attendance of the European Masterworks Exhibit at the High Museum followed by a luncheon in my home for fellowship and to learn about UNICEF. Join us at our Concert for Mozambique in support of the 1.85 million people affected by Cyclone Idai. Join us to celebrate Mothers around the world! UNICEF Unite Miami would like to cordially invite you to our Mother's Day Brunch in the name of our mothers—or any woman who has been an inspiration to us. All proceeds will go to UNICEF USA Eliminate Project that aims to help put an end to maternal and neonatal tetanus (MNT) worldwide, which is a cruel, centuries-old disease. With our brunch, we will support the live saving work of uNICEF while celebrating a woman in our own life. Join UNICEF NextGen and Team UNICEF NYC for an optional morning jog over the Williamsburg bridge and over to the UNICEF USA offices downtown (approx 2.8 miles start to finish). Once you arrive at the office, we’ll have a meet and greet breakfast with UNICEF Champion and Olympic track star from Côte d’Ivoire, Murielle Ahouré! 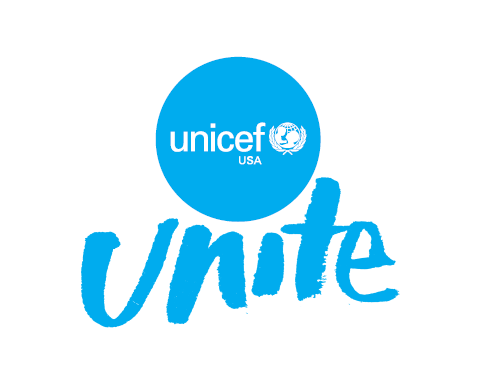 Join D.C.'s UNICEF UNITE team for our April Member Meeting! 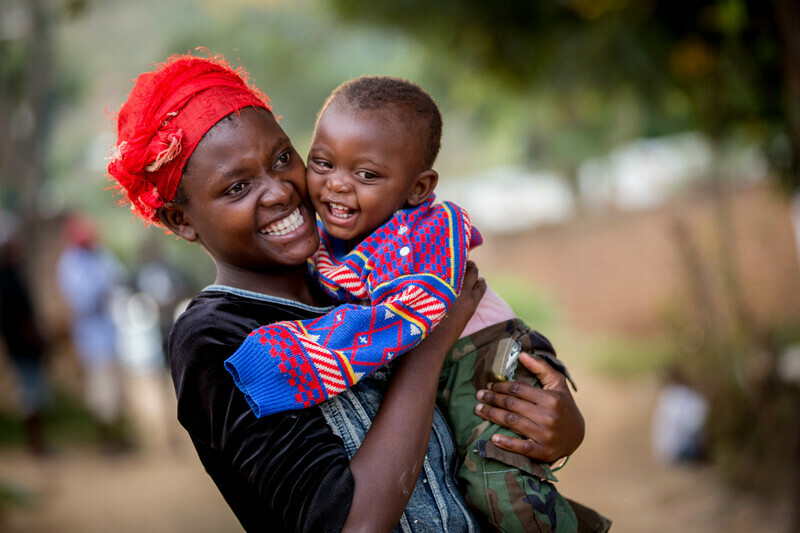 Come meet fellow supporters of UNICEF and learn about the DC Team's spring plans including upcoming Mother's Day activations, volunteer opportunities, and more! HEY HEY UNICEF BAY AREA! Come down to Silver Creek High School on April 27th for UNICEF Bay Area's annual charity ball, Snowflake Ball! We are fundraising to help every child get equal and safe access to clean water. No child should have to sacrifice their education to make sure their family has enough water. It'll be a night of good food, great performances, and even better company! There's also a chance to win a hydroflask and plenty of UNICEF merch! Join UNICEF Next Generation for an innovation panel at Shinola in downtown San Francisco. Hosted by Ann Marinovich, Bridie Gahan, and Katrina Yulo of the Bay Area Steering Committee. All proceeds will go to the UNICEF Emergency Relief Fund (ERF). Contributions to the Emergency Relief Fund are donations which UNICEF allocates towards rapid, effective intervention when and where children need it most in any of the 190+ countries in which UNICEF works, helping save and improve the maximum number of young lives. Special thanks to Shinola Detroit, Ashes & Diamonds Winery, and Mr. Holmes Bakery. If you are interested in making a custom or higher bracket contribution, please contact the hosts directly by clicking here. Second year in a row we decided to collaborate with UNICEF and organize a silent auction during which all collected funds will be donated to helping save children’s lives. During the exhibition you will be able to bid on any piece of art you would like to buy (including your own) by writing down the amount you would like to donate. Each art piece will have a starting price and at the end of the 2 hour time window the last bidder with the highest amount will become the owner of the masterpiece. Join UNICEF NextGen for an evening of art, music, and wine at Christie's Beverly Hills. Come learn more about getting involved with NextGen before touring the state of the art auction house. This month's tour features one-of-a-kind guitars from Pink Floyd's David Gilmour. Painting party in celebration of moms everywhere! In celebration of mothers every where, join me for a painting party with the extraordinary Amanda Evanston Freund to benefit UNICEF USA. 100% of your $100 registration fee will be benefit UNICEF's Water for Guinea project. Join UNICEF USA and the American Red Cross as we discuss some of the most pressing issues of our time. Hear from thought leaders working to reduce human suffering in the United States and around the world. Featured topics include: International Humanitarian Law, Innovation during Emergencies, Vaccination, Conscious Consumerism, and more! A light breakfast and lunch will be provided to all attendees and students will also be able to network with their peers and the talented professionals in attendance! Four million Syrian children have only known war since birth. Three in four children born in South Sudan since independence have been born into conflict. Situations like these are unfortunately common for children and their families. What legal frameworks exist to protect non-combatants and former fighters? How are these frameworks enforced and where do these rules apply? This legal primer by the American Red Cross and UNICEF USA is designed to answer all of these questions and more! A light breakfast and lunch will be provided to attendees. Please see photos for a complete agenda and speaker biographies. This event is brought to you by the generous sponsorship of the DePaul University School of Public Service and the DePaul University College of Law's International Humanitarian Law Institute. 3 CLE Credits will be provided! Please join us for a special Mother's Day Cooking Class! Bring your Mom and join us as we cook for a cause! All proceeds will go to help support UNICEF's nutritional programs. Join UNICEF NextGen for an opportunity to mix & mingle with like-minded young professionals from across New York, and get to know your local NextGen community! Join your fellow UNICEF NextGen members to volunteer with Madonna Missoin on May 4th here in Chicago. We'll be helping to organize their field day for children in grades K through 8. Madonna Mission is a nonprofit organization providing education and resettlement support programs for refugee individuals and their families in Chicago. Join us in making a memorable day for these children! NextGen members come together to share why and how they started to give, and what motivates them. 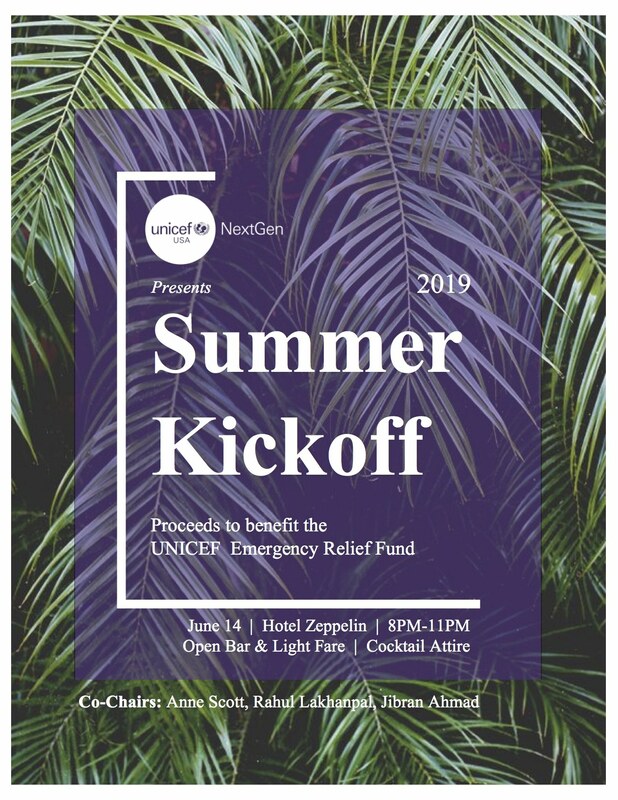 UNICEF NextGen Bay Area invites you to its SUMMER KICKOFF, an evening of socializing, virtual reality, inspired gifts, live DJ sets, and an auction, all at one of San Francisco's premier boutique hotels. Cocktail attire. A virtual reality pop-up experience from UNICEF 360 ° will feature immersive stories from the field. Proceeds will benefit the UNICEF Emergency Relief Fund. Join New Trier’s Girl Up and UNICEF Clubs for a screening of “Girl Rising” with a special presentation by Nasreen Sheikh, founder of Local Women’s Handicrafts and International Public Speaker. Join UNICEF NextGen members and prospective members from across South Florida to learn about UNICEF's global work and the impact that NextGeners are making! 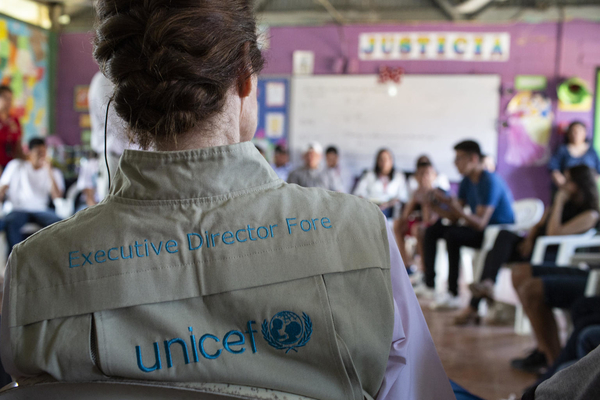 Network with like-minded young professionals and have your questions answered by UNICEF USA staff - And have the opportunity to join the NextGen community! Please reach out to nextgen@unicefusa.org with any questions!